Corvette lovers are you ready? Ready for what? For the highly anticipated C8 Chevrolet Corvette that has the potential to reach nearly 1,000hp. The 4-digit horsepower milestone is one that few have achieved, but how can Chevrolet get that much power out of a production vehicle? Let’s just say they have a trick or two up their sleeve. As of right now the C8 Corvette will be outfitted with a mid-mounted LT1 V8 that produces around 500 hp. The 500hp V8 will be accompanied by an all-new 8-speed dual-clutch transmission that will propel you through the gears with ease. 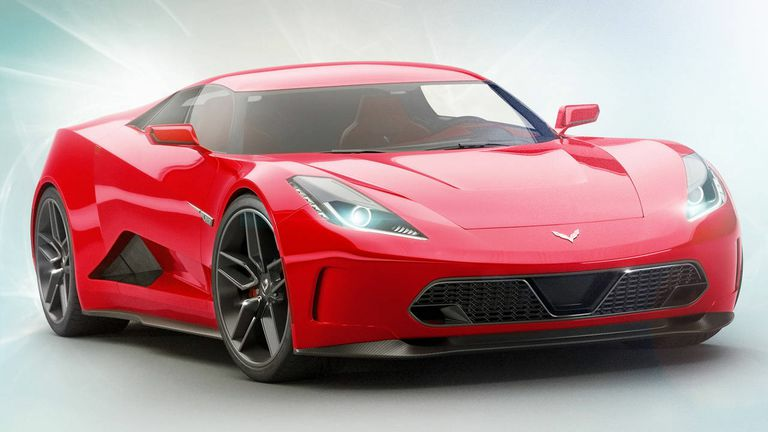 Chevrolet will also provide the Corvette with a 5.5-liter V8 that will increase output to 600hp. 600hp still isn’t satisfactory, so there will be a similar version of the 5.5-liter engine complimented with twin turbos allowing to squeeze out 800 hp. So where’s the 1,000hp? There is talk about an electric motor being added to the mix that will increase output to 1,000hp. It may be a few years before we get to see the Chevrolet C8 Corvette, but it is certainly some exciting news to look forward to.